Fieldhouse Logs is a well known supplier of logs, kindling and wood carved furniture to homes and businesses across the North East. At Fieldhouse we really do love our chosen vocation and can supply anything from tables, chairs and benches to carefully vetted and processed kiln dried logs that fit for purpose. In addition to producing quality logs and wood burning materials, one of our key missions is to become a more environmentally friendly, carbon neutral business. All our timber is sourced from environmentally sustainable forests in the UK and is stored and transported in a way that aims to keep our carbon footprint as low as possible. Our seasoning process is designed to remove as much water content from the log as possible. This is vital, as excess moisture can seriously affect the quality of the fire you subsequently produce by burning the log. By reducing the moisture content (mc) of the log down to below 20% of its original amount we can produce cost-effective firewood that lights easily, burns cleanly and most importantly, produces a warm, dry, crackling fire. We season the logs for over six months using tried and tested methods in our specially designed on-site warehouse. Whilst our seasoned logs have had their moisture content reduced to below 20%, our kiln dried logs have been mechanically dried and have had the vast majority of excess moisture driven out of them. 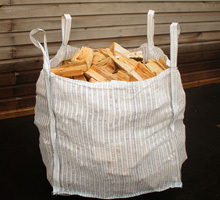 This makes our Kiln Dried Logs in Pately Bridge and Cockfield are the ultimate in firewood here at Fieldhouse Logs, ideal for use on open fires or as fuel for log burning stoves. 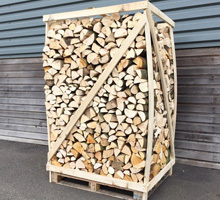 Kiln Dried Logs burn more efficiently and at higher temperatures than other forms of firewood. Whilst both our seasoned logs and our kiln dried logs make for excellent quality firewood, they can prove very difficult to light initially when trying to build your fire. 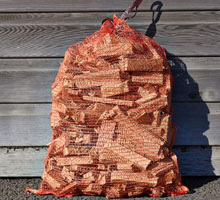 What is needed here is specially cut kindling and trimmings to help get your fire started, and this is exactly what we provide with our bags of kindling for sale in Kirklington, Pateley Bridge and Cockfield.